Our team delivers excellence so your team can too. Alaska is a multi award-winning construction and fitout company that has been creating exceptional places and spaces that elevate experience since 2006. We bring our smarts, expertise and ambition for executing visionary, world-leading design and architecture to every project. Our nationwide projects include premium office, retail and hospitality fitouts, and extensive construction services. We’re the experts in live 24-hour operations, dust-free environments, seismic upgrades and asbestos removal. People are at the centre of everything we do. We’re Kiwi owned and operated with offices in Auckland, Tauranga, Wellington and Christchurch. Our X Factor is our hands-on, collaborative approach. Our directors and project managers oversee every detail of each project from inception to completion. We’re the team that delivers on time, on budget, every time. Bankside Bistro | Designers Institute of New Zealand Gold Award. (Best Awards). Russell McVeagh Offices | Designers Institute of New Zealand Gold Award. (Best Awards). Kiwi Property Offices | Designers Institute of New Zealand Gold Award. (Best Awards). 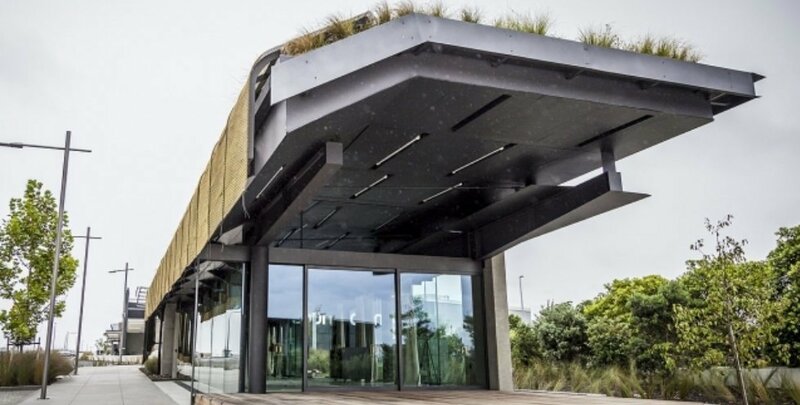 Goodman Property Offices | New Zealand Property Council Awards – Merit in Green Building Category. Warren & Mahoney Architects Offices | Designers Institute of New Zealand Gold Award. (Best Awards). New Zealand Architecture Awards Winner | (NZIA Awards). KPMG Auckland Building Refurbishment 2017| Designers Institute of New Zealand Gold Award. (Best Awards). Faraday St Refurbishment | New Zealand Architecture Awards Winner. (NZIA Awards). Faraday St Refurbishment | Designers Institute of New Zealand Gold Award. (Best Awards). 85 Fort Street | New Zealand Property Council Awards – Winner in Heritage and Adaptive Reuses Property. NZME | New Zealand Property Council Awards – Supreme Award Winner. NZME | New Zealand Property Council Awards – Winner in Commercial Office Property. Te Kaitaka – The Cloak | New Zealand Architecture Awards Winner. (NZIA Awards). The Sugar Club | Designers Institute of New Zealand Gold Award. (Best Awards). Te Kaitaka – The Cloak | Designers Institute of New Zealand Gold Award. (Best Awards). Genesis Energy Fitout | New Zealand Property Council Awards – Merit in Commercial Office Property. RCP Offices (Fox Street) | New Zealand Property Council Awards – Merit in Heritage and Adaptive Reuses Property. RCP Offices (Fox Street) | Designers Institute of New Zealand Gold Award. (Best Awards). RCP Offices (Fox Street) | New Zealand Architecture Awards Winner. (NZIA Awards). Telecom Fitout | New Zealand Architecture Awards Winner. (NZIA Awards). Telecom Fitout | New Zealand Property Council Awards – Excellence in Commercial Office Property. BNZ Quay Park | New Zealand Property Council Awards – Excellence. RCP Offices (Eglon St) | New Zealand Architecture Awards Winner. (NZIA Awards). RCP Offices (Eglon St) | Auckland Architecture Awards Winner. Vodafone venue | New Zealand Property Council Awards – Supreme Award Winner. Vodafone venue | New Zealand Property Council Awards – Winner in Commercial Office Property. Vodafone venue | Designers Institute of New Zealand Gold Award. (Best Awards). KPMG Auckland Building Refurbishment 2004 | New Zealand Property Council Awards – Supreme Award Winner. KPMG Auckland Building Refurbishment 2004 | New Zealand Property Council Awards – Excellence in Commercial Office Property.